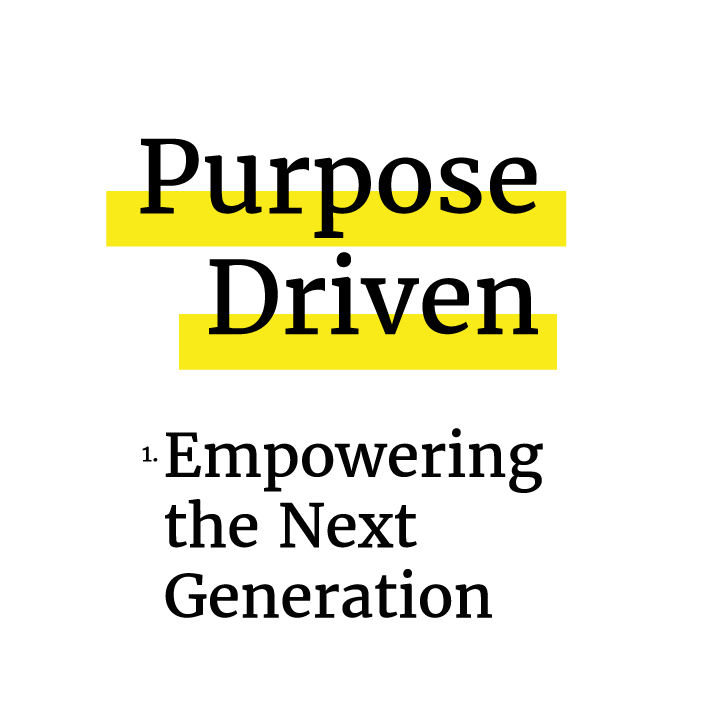 PURPOSE DRIVEN is a six part conversation series designed to celebrate individuals and initiatives who are working to make our world a better place. Each event will explore it’s own theme as we come together to enjoy an exceptional meal at Kindred and learn from revolutionary projects. Come ready to join the conversation and leave inspired. In this time of chaos that we are living through, PURPOSE DRIVEN will shed light on the positive actions taking place every single day and create a community of dedicated, passionate changemakers. The next generation is rising. These are the ones who have grown up in the digital age, who are more connected than any generation that has come before them. They will also work harder for less money and higher living costs than any before them. They will inherit a whole host of messes to clean up, including an environmental crisis on the very brink. But this generation has already begun to show us that they are passionate, determined, and taking no prisoners. What is our role in helping to encourage and guide this generation, and what is already being done?